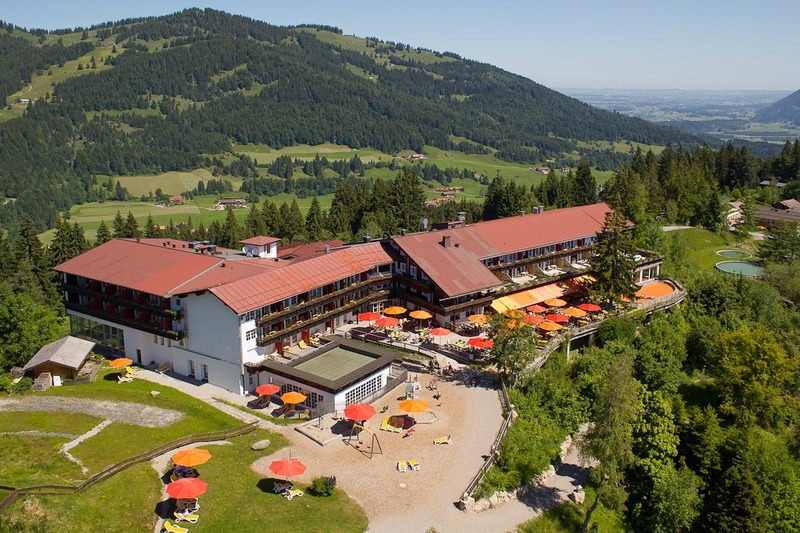 Our family hotel in Bavaria has grown over the years. Since the opening in 1936, we have always been building and renovating. That's why we can offer you a wide range of room categories in our family hotel in Bavaria today. All rooms and apartments offer a splendid view of the wonderful surroundings of our hotel. Each room enchants with its own unique residential character. From cheerful family rooms to spacious apartments and the luxury suites or your own empire in an Alp-Chalet - each family finds its own favourite accommodation in our family hotel in Bavaria. From double rooms and spacious family apartments to luxury suites, there is a wide range of rooms available in our family hotel in Bavaria. With us, each family finds its perfect, top-equipped accommodation. Thus all families will feel "at home" in our family hotel. Cheerful, rustic room with cosy living area, very suitable for small families. From cowskin to luxurious bathing experience. Each room is an individual highlight here. New rooms in comfortable full-timber construction with open sighting walls. Lovingly and charmingly furnished: spacious 2-room apartments in the new Bergflügel. Loving every detail. These new rooms have it really in itself.